Sony might be having problems with the company predicting that it will lose the equivalent of $489 million for its fiscal year that ends next March. But smartphones are not the reason for the manufacturer's expected loss. In fact, it forecasts that sales of its Xperia smartphone line will reach 50 million units during the current fiscal year, a 28% improvement from the 39 million units it sold in the fiscal year that ended this past March. 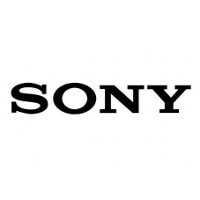 That was up 18% from the 33 million smartphones that Sony had sold the previous fiscal year. Sony has done well with the Xperia Z line that first came to the public's attention during CES 2013. The Sony Xperia Z displayed its ability to withstand submersion in water by continually getting dunked into a tank filled with liquid. Sony's internal rule to build a new flagship every six months then led it to build the Sony Xperia Z1, followed by the Sony Xperia Z1 Compact. Unlike most "mini" models, the Z1 Compact kept most of the specs offered by the full-sized version, including the quad-core Snapdragon 800 CPU and the 20.7MP rear-facing camera. Many Japanese consumers found the Xperia Z1 Compact to be the better phone. The current flagship model, the Sony Xperia Z2, was unveiled late February at MWC, but has run into delays in some markets. And under Sony's six-month rule, we could see the Sony Xperia Z3 as soon as August. Meanwhile, results for the Xperia Z2 will be included in the next annual profit report, as will the just announced Sony Xperia Z2 Compact, aka the Sony Xperia A2. Unlike the Sony Xperia Z and Sony Xperia Z1, both of which were offered by T-Mobile, it looks like the Xperia Z2 will be available in the U.S. only from Sony's website. Despite rumors that the phone would be a Verizon exclusive, and marketing photos used by Sony that actually showed a Verizon branded model, the last word from Sony is that the only way to buy the Xperia Z2 stateside will be to pick up an unlocked variant from Sony's own website. The Sony Xperia line has come a long way since the Sony Ericsson Xperia X1 was launched in late September of 2008. Powered by Windows Mobile, the device sported a 3 inch screen and used a panels UI that never caught on. Back then, the device was powered by a single-core 528MHz processor with 256MB of RAM. Wow. The title contains all that there is for this article and the rest is a history lecture. They're not going to reach 50 million if they keep having production issues and quality control issues that's for sure. Not releasing their flagship device on a carrier doesn't help either. Not sure this will happen. Very late to market and by the time it's widely available, there will be some really stiff competition. Oneplus, LG and Samsung. All with better products by then.